This app is hosted for JacksResearch.com. 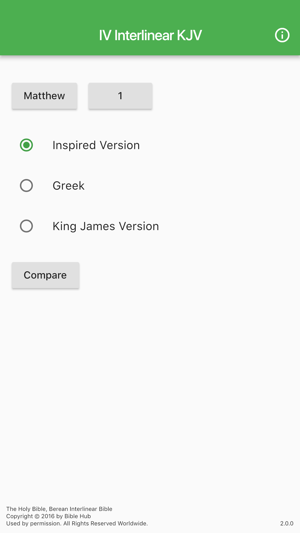 The parallel version allows the reader to quickly distinguish the differences and the similarities between the King James Version and Joseph Smith’s Inspired Version. In addition an accompanying Greek New Testament text is added for reference and further study. 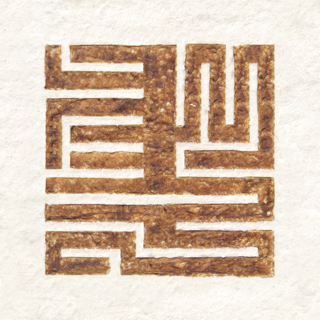 This scholarly work is to benefit the reader in four ways. 1. The majority of Bible reference books are geared to the King James Version of the Bible. Concordances, Bible dictionaries, commentaries all use numbering systems (chapter and verse) which is also the same used by the King James Version. Joseph Smith’s Inspired Version has his own numbering system making it very difficult to use many of the references available. With this parallel study, a verse directed to the numbering system of the King James Version could quickly be cross referenced in the Inspired Version and read in the context of other verses. 2. It is a tedious task to compare the differences between the Inspired Version and the King James Version. This reference highlights the change in words using bold and underlining to show words that appear in one version but does not appear in the other version. 3. 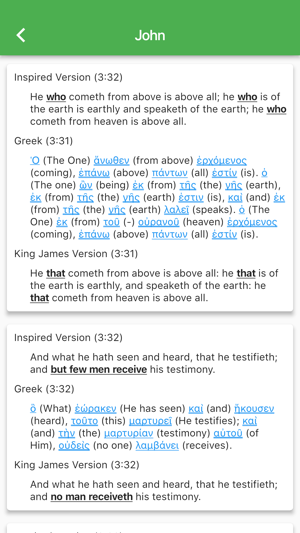 The Berean Interlinear Bible is an additional tool to allow the non-Greek reader to check out the meaning of Greek words used for various Bible translations today. Each Greek word is followed by an English translation. The English is hyperlinked to a more detailed explanation of the Greek word. For those not knowing Greek one could also copy the Greek word and have the Internet interpret the word. 4. This reference has the advantage of being able to read any of the versions (IV, KJV, and Greek) in the order available in any hard copy. Previously there was one excellent reference book (Joseph Smith’s “New Translation” of the Bible) showing only the verses with differences between the King James Version and the Inspired Version. The verses that did not have differences were not printed, making reading a continuing narrative difficult. Also sometimes the passages of Joseph Smith’s work were reorganized from what is found in the King James Version. The text of a chapter might have verses 5 and 8 switched with the order found in the other version.